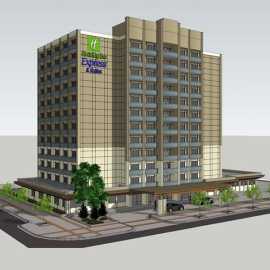 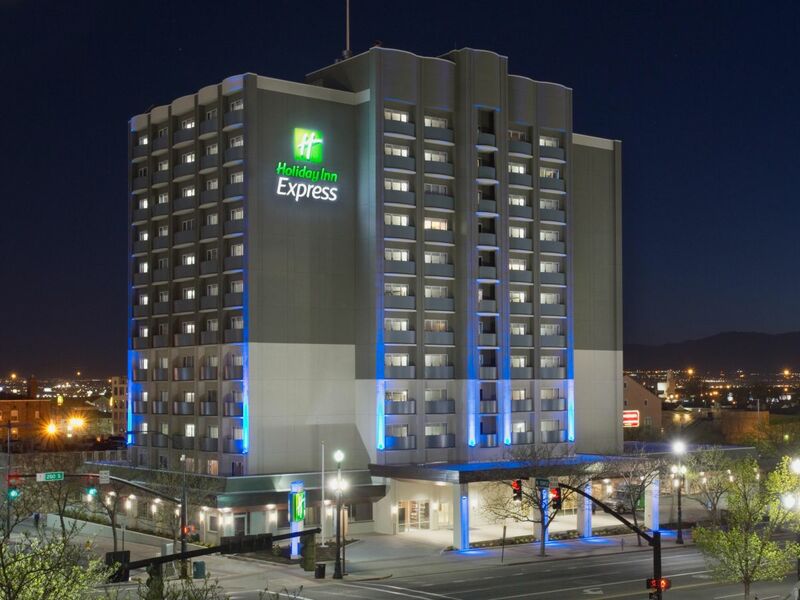 Welcome to the new Holiday Inn Express Downtown Salt Lake City! 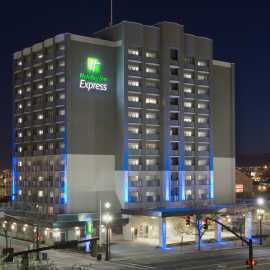 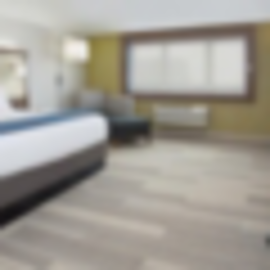 Salt Lake City’s newest and most modern Holiday Inn Express Hotel is located directly across the street from the Salt Palace Convention Center. 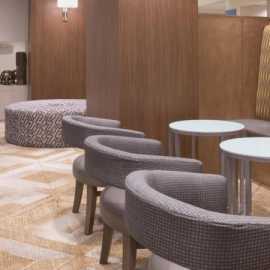 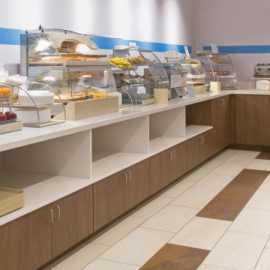 Guests enjoy our premier location within walking distance of City Creek Shopping Center, The Gateway, Historic Temple Square and hundreds of restaurants and night clubs. We are centrally located just minutes away from Interstate 15, Interstate 215, Interstate 80, Highway 89, the Amtrak Station and Salt Lake City International Airport. 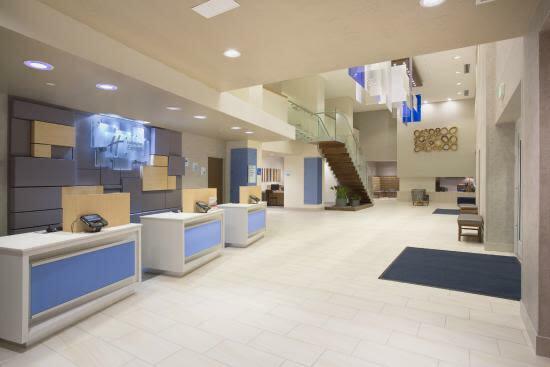 Our non-smoking Holiday Inn Express offers easy access to attractions including: Capitol Theatre, Clark Planetarium, Discovery Gateway Children’s Museum, Energy Solutions Arena, Great Salt Lake, Utah's Hogle Zoo, LDS Temple Square, Lagoon Amusement Park, The Leonardo Museum, Natural History Museum of Utah, Red Butte Garden, Rose Wagner Performing Arts Center, This Is The Place Heritage Park and Utah State Capitol. 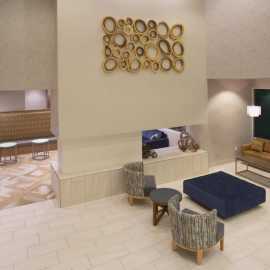 Guests can enjoy a plethora of amenities including: Complimentary breakfast, 24 hour pool and spa, Fitness Center, guest laundry, Business Center, free high-speed wireless Internet access.